Image caption How do I get out of debt? Is debt getting on top of you? 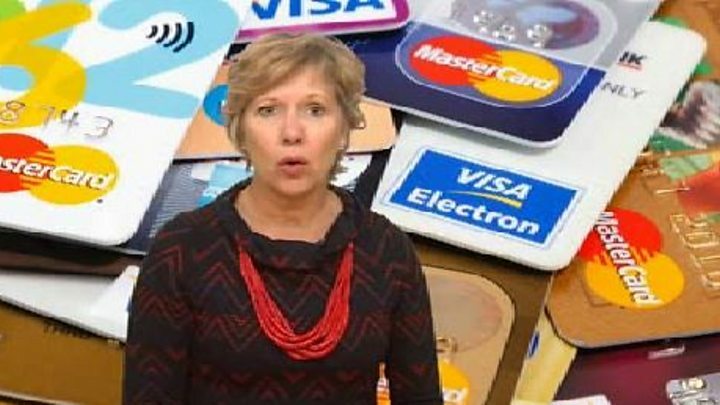 Not sure how to pay off your credit card? Borrowing on loans, overdrafts, credit cards and car finance has accelerated since 2011. On top of that, the chief executive of the Financial Conduct Authority has warned of a "pronounced" build up of debt among young people. We asked debt expert Bev Budsworth, managing director of The Debt Advisor, your questions. 1. I have £10,000 worth of debt on my credit cards - what are my options? I work full time. Your options really depend on your affordability, can you afford those payments, are you struggling to afford them? If you're struggling to afford them, a managed Debt Management Plan, with either a commercial or free client company might be the answer, where they aim to freeze interest and charges and allow you to pay that debt, but your credit card rating will be affected. To protect your credit card rating you've got to aim to try and pay more than your minimum payment, so you've got to check your income and expenditure and work out if there's any waste and you can increase those payments on your credit cards and aim to get rid of them over a reasonable period of time. When should you worry about debt? 2. How can you escape an overdraft when you can't afford to pay more than the interest so the balance never falls? The first step is to review income expenditure and work out if there are any savings that could be made in your expenditure. Apparently most of us waste £50 to £60 a month on subscriptions, music, coffees, TV. Just go through your expenditure, there are apps that will sort of do a scrape of your bank account and identify areas that you're wasting. The idea is to limit your expenditure and then that will limit how far you go into your overdraft every month. 3. I cannot afford to pay back my student loan, what are my options? Worrying about student debt or student loan debt is kind of a wasted worry. Student debt won't go away, it survives bankruptcy so you can't make yourself bankrupt and get rid of student debt, you can't include it in an Individual Voluntary Arrangement. It's only repayable based on an affordable basis. Really what you want to focus on is clearing debt that is credit cards, and loans that have high interest rates - your student loan debt will look after itself as you earn. 4. Is it better to try and pay as much off at once in bulk, or little payments that may result in more interest charges over time? If this relates to credit cards you would definitely try and pay it off as soon as you possibly can. If it's a loan, you can pay off quickly and generally there may be a month's interest that's charged, but generally there is no penalty for paying back loans early. Mortgages, that might be different, but if it's credit cards... if you're paying little bits every month and you've got interest running every single month then it just doesn't make sense. 5. I am constantly living from payday loans even though I have a full time job. I am at wits' end and stressed out. They are too easy to get. Formally, Debt Management Plans - here the aim is to freeze interest and charges and allow you to repay the capital over a period of time. it will affect your credit rating. Informally, you could also put the payment plans to your creditors yourself, so deal directly with your creditors. It does take time, you've got to be able to respond to creditors' queries, so it just depends how disciplined you are. In formal solutions there are individual Voluntary Arrangements. It's generally a five-year payment plan, paying an affordable sum every month and as long as you stick to the plan, the debt you can't afford to pay at the end is written off. 6. How to get out of debt when credit card interest is high for someone on a low income and it is hard to get a zero interest card as income is too low? It sounds to me as though the credit card's really not affordable... not sure whether recommending transferring the balance on to a zero interest credit card would work because your credit rating may not be that good and you may not be able to clear the debt during that period of zero interest. It sounds to be me as though you need some sort of managed plan, whether you do it yourself or you use a debt management company to help you put a plan together with your creditors, which freezes interest and charges and allows you to repay the debt in an affordable way. This assumed you've got a balance left over. if you haven't, after your income and expenditure, got any surplus left there are options to write off debt, especially if your surplus is under £50 a month and your debt is under £20,000 - this is the Debt Relief Order that I've referred to before... it's a mini bankruptcy.